We are happy to assist you. What sort of help are you looking for? Meet with a librarian: Research and instruction librarians are available to help you plan out your research and find the resources you need. You can set up a consultation appointment in advance or stop into the Ginn Library Reference Office for assistance during the week. Consult with an event support specialist: If you need help planning the audiovisual and technology aspects of an upcoming event, set up a consultation appointment with our specialist. Get help with STATA, SPSS, and other data tools: Help with numeric and statistical data applications is available to the Fletcher community. 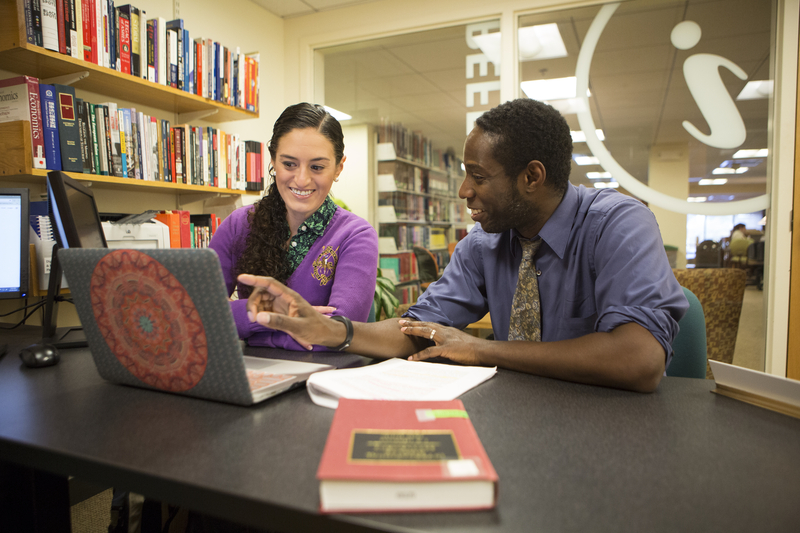 The Writing Center: Writing tutors are available to provide assistance with strategies for composing and organizing papers and other written documents.